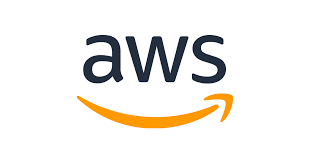 Amazon Web Services (AWS) is the leading cloud provider, providing virtualized infrastructure, storage, networking, messaging, and many other services to customers all over the world. AWS runs a globally distributed environment, operating at massive levels AWS’s multi-tenant infrastructure. Governmental organizations are also looking to and depending on AWS for cloud solutions and services. AWS is looking for a Classified Material Custodian to support the AWS Infrastructure Operations (Infra-Ops) team in maintaining a sound security posture for US Intelligence Community (USIC) Cloud technologies and activities. As a member of the Infra-Ops team, the candidate will be responsible for receipt, issue, safeguarding, accounting, and when necessary the destruction of classified material in accordance with US Government security standards. The ideal candidate will bring physical security, project management, process creation and improvement, and auditing skills to this position. In addition, the candidate will assist in the development and implementation of related security procedures and training for handling classified material. Critical thinking, process improvement, and independent problem solving will be key in this role. Exceptional communication skills are paramount. The successful candidate will be a strong communicator both written and verbally, and will lead multi-discipline, process improvement project initiatives. The candidate should possess the ability to work independently to continuously improve material handling and preemptively identify and mitigate risks. The right candidate for this role will also have basic familiarity with computer hardware. • Manage the Infra-Ops classified material program to ensure procedures are developed and operated in accordance with internal and customer security policies and practices. • Develop, track, and report on key program performance metrics. • Continuously monitor processes and drive improvements in efficiency and quality of our security programs. • Develop, communicate, and maintain project roadmaps. • Provide training and awareness to employees for materials handling, reporting requirements, accountability, and destruction procedures. • Map current processes and procedures to establish baselines and recommend areas for process improvements. • Effectively prioritize and execute tasks. • Responsible for the maintenance of up-to-date records and the submission of all required accounting reports. • Candidate must display knowledge of regulations, directives, processes and procedures for the control of highly classified materials. • Ability to lift up to 40 lbs and work in cramped and/or elevated locations. • Detailed understanding of data communication and telecommunication technology. • Strong understanding of U.S. federal IT security mandates, security standards and compliance for national security mission systems operating in a multi-tenant infrastructure/platform as a service environment.